Although Gregory Crewdson’s strongest influences seem to come from Hollywood cinema, and his works are easy to read as film stills, in some of his pictures there are also clear art historical references. Untitled (Woman at Vanity) could easily be a still from a film or and American television series. I find myself wondering about the open curtains – especially given that this is a ground floor bedroom – and worrying about the slightly open patio door. The couple seem sad, but this is not a shared state; each looks lost in their own thoughts and their own private disappointment. The setting and the relationship between the couple might scream Crewdson but coupled with a hint of Edward Hopper. 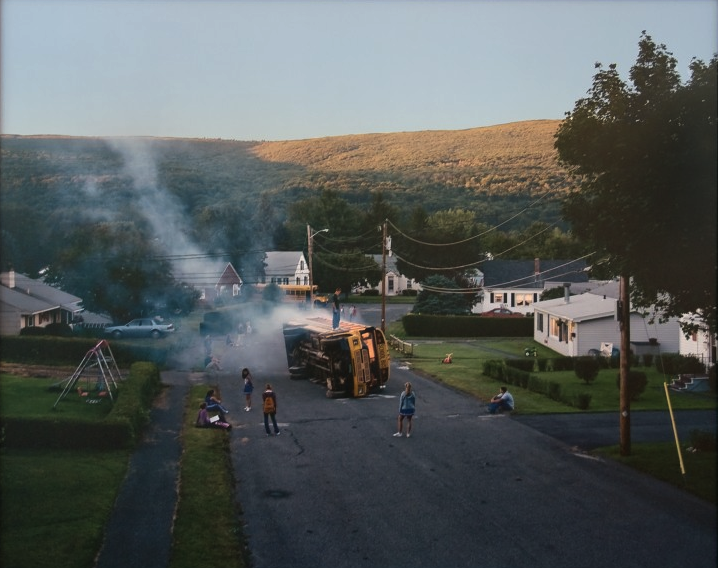 Given the cinematic feeling of Philip-Lorca diCorcia’s Hollywood series, it seems like a good time to look at Gregory Crewdson’s representations of American suburbia, a place that feels oddly familiar from films. In Crewdson’s suburbs, all is not well. The detached houses and neat front lawns might suggest otherwise but these are places where dystopian nightmares are more likely to be played out than the American dream. Of course, this is also familiar from the movies – think Blue Velvet – it’s just that here we have to fill in the gaps ourselves rather than watching the dream unravel on screen. To find out what New York looked like in the 1950s or ’60s or up until his death in 1984, there are worse places to turn than Garry Winogrand’s pictures. 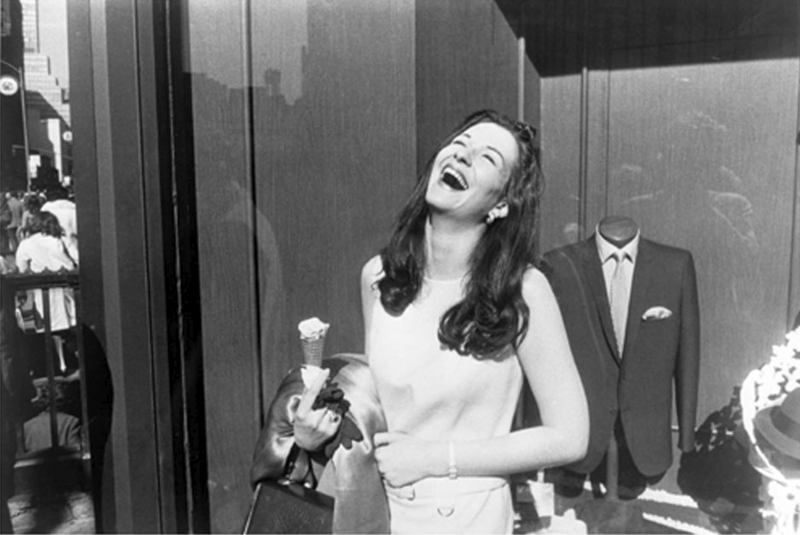 A prolific photographer who not only recorded everyday life on the streets of America – and New York in particular – but also got into many significant events of the day, Winogrand photographed the world around him as a way of understanding it, taking many thousands more pictures than he could ever hope to process. Indeed, at the time of his death he has something like 2,500 rolls of film waiting to be processed and even more processed but not yet contact printed. That’s hundreds of thousands of pictures. And those are just the ones he hadn’t really got round to looking at properly. So, what of the actual pictures? Clearly they’re plentiful, but what are they actually like? If Philip-Lorca diCorcia’s Heads series tells us little of real substance about the people in the pictures then perhaps his Hollywood series tells us too much, though these are pictures that straddle that blurry line between fact and fiction. In Hollywood, as in Hollywood, anything is possible. 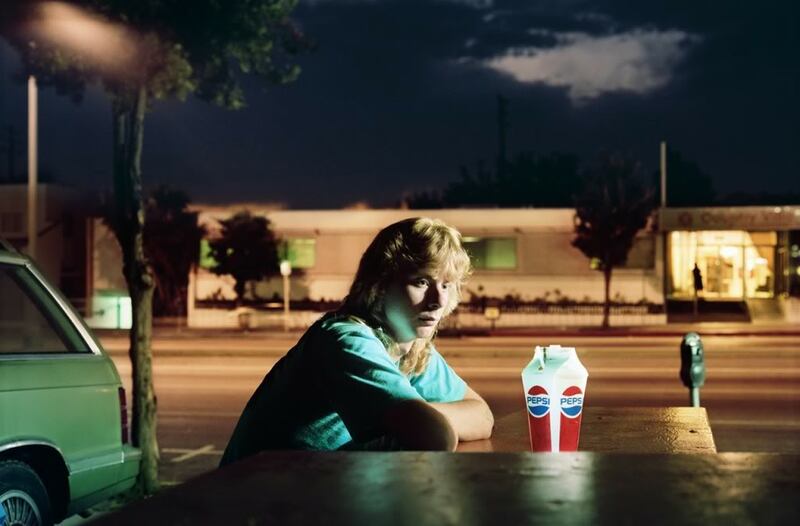 The series – also known as The Hustlers – was made on a part Santa Monica Boulevard, Hollywood with a significant population of drug addicts and male prostitutes; for each picture, diCorcia prepared the scene including positioning camera and lights before looking for a suitable subject for the image. Those who agreed to be photographed were asked their name, age and where they came from and these details, along with how much diCorcia paid them to pose, became the titles for the pictures. 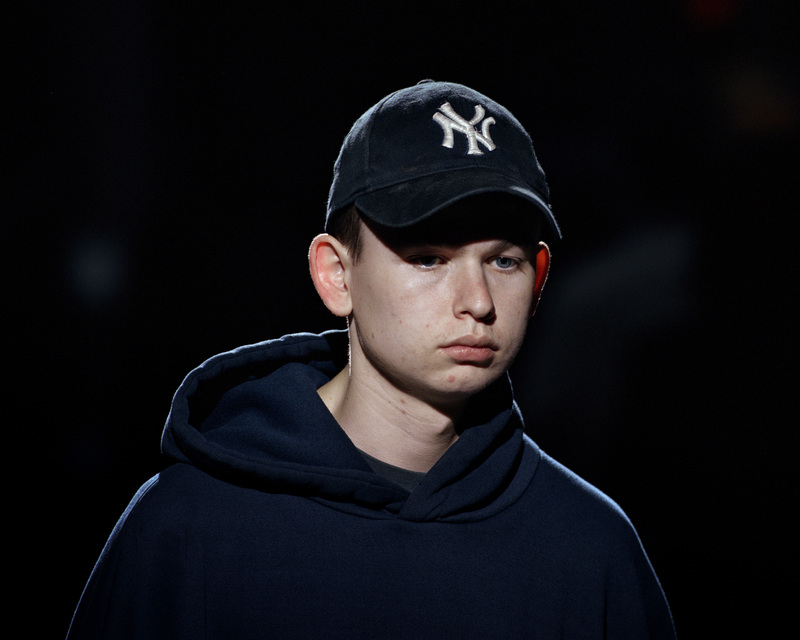 A more recent approach to photographing strangers without permission – albeit a rather less surreptitious one – is that taken by Philip-Lorca diCorcia for his series Heads. This series was made in Times Square, one of the busiest places in New York City and a place where bright lights and tourist cameras go with the territory. DiCorcia rigged up lights, using portable flash synced to his camera which was focused on the area he was lighting, and stood twenty feet or so away with a telephoto lens on his camera. 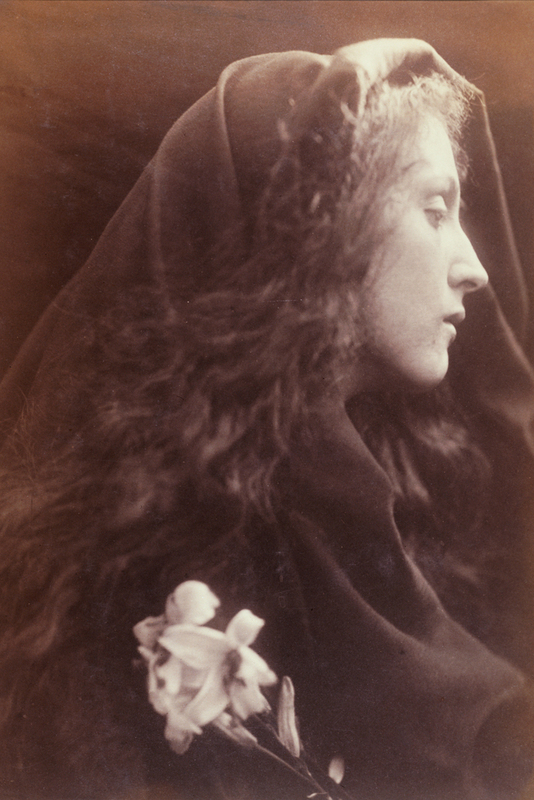 When someone he wanted to photograph came into his zone of light and focus he pressed the shutter and recorded the head of his subject. Simple. As I seem to be back on portraiture this seems to be as good a time as any to think about some different approaches to photographing strangers (something that I’ve been following through several series on Richard Guest’s blog The Future is Papier Mâché recently). Anyone who photographs on the streets of London is liable to find themselves questioned about their motives from time to time, usually by security guards but sometimes by the police, making many wonder quite how much freedom of expression we still have in Britain and the degree to which supposed concerns about privacy or security are being used to mask a more insidious creeping state control. So, what’s it like elsewhere and does making art ever trump other issues? Given Madame Yevonde’s use of photography to retell classical myths in the mid 1930s, the relationship between storytelling and photography clearly goes way back. But though Madame Yevonde’s use of colour was unusual and though her images were genuinely different, even eighty years ago the ides of using photography to represent old narratives wasn’t a new one. 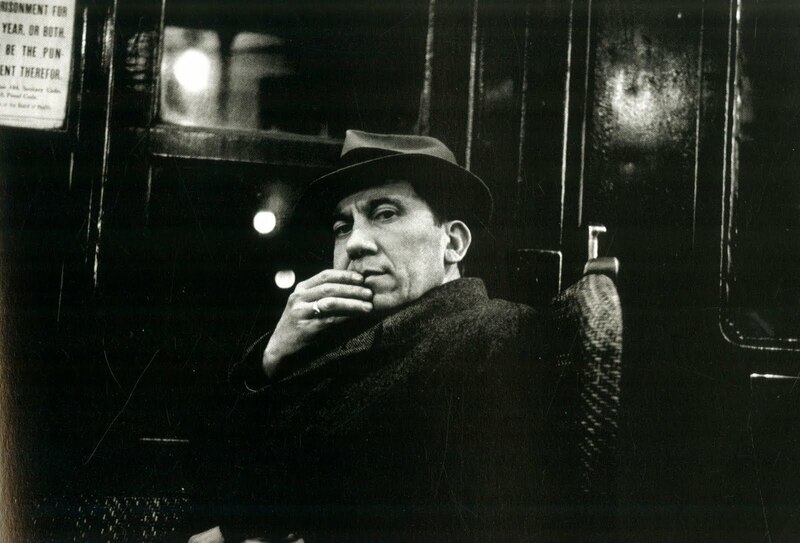 In fact it’s essentially as old as photography itself.